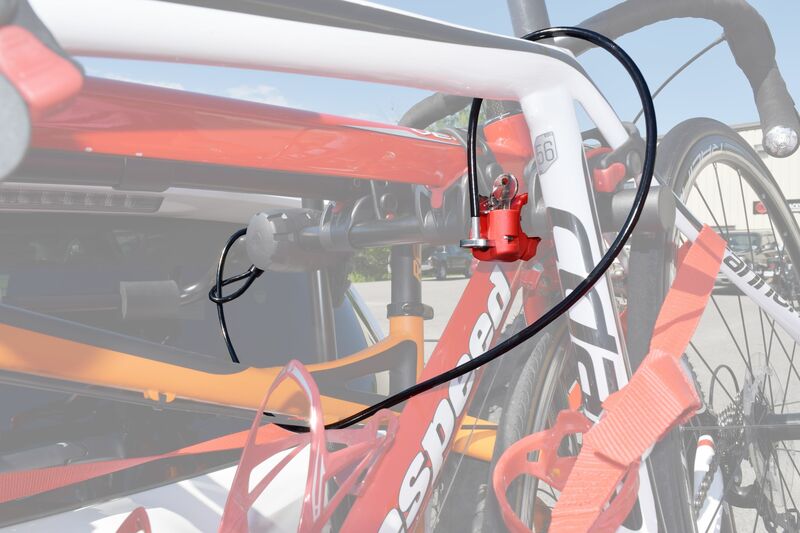 A fast and economical way to add a layer of security to prevent bike theft. 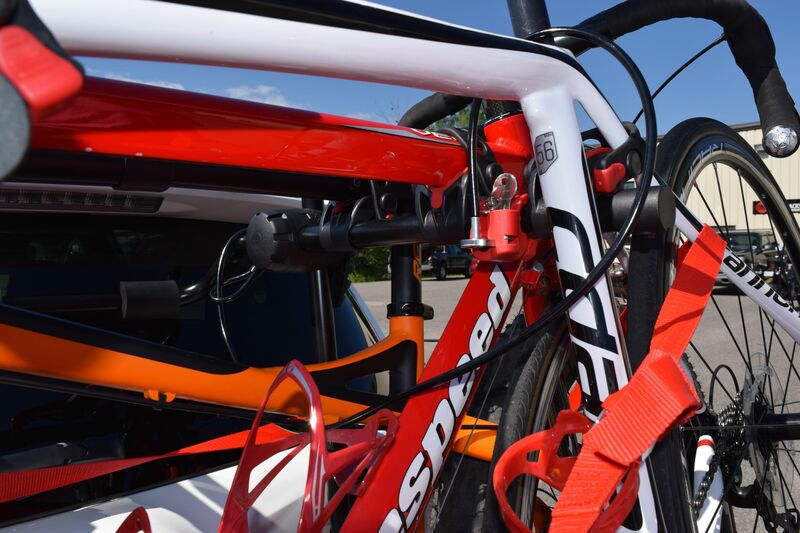 The loop passes around frame of the bike rack; then cable passes over frames of bicycles on the carrier, locking into the key lock bracket attached to the carrier. 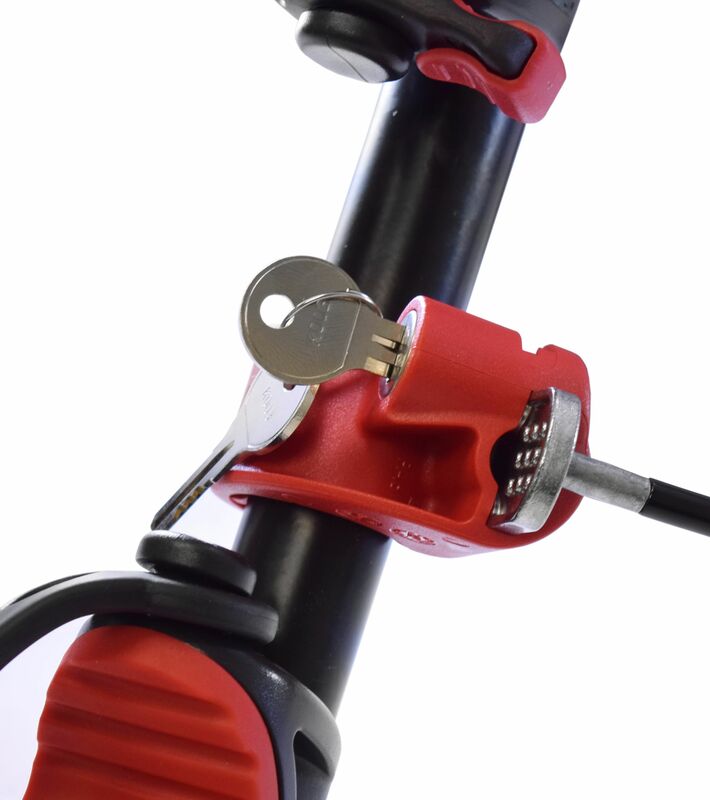 Locking brackets can be attached to any 1.25" diameter tubing. 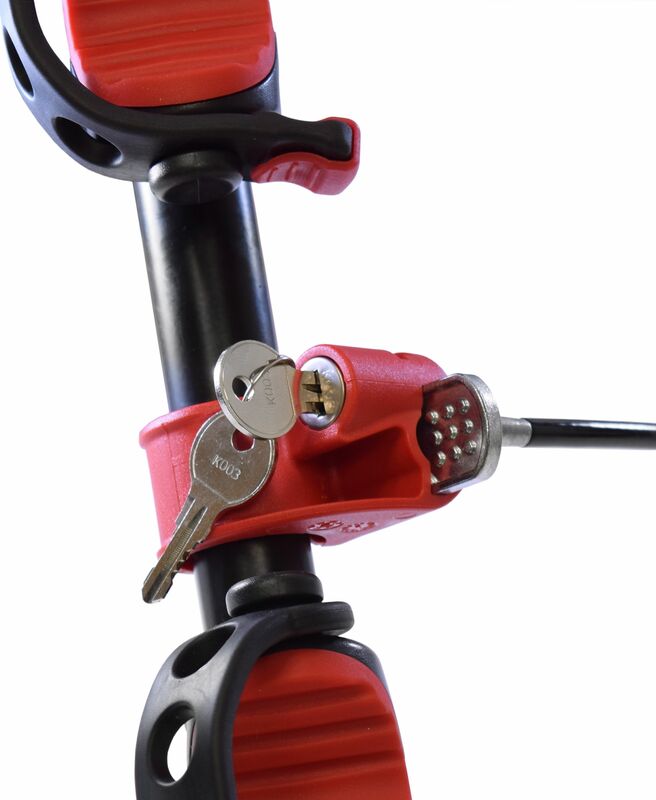 One Year Limited Warranty.